What’s the link between C# 6.0 language specifications, .NET Frameworks and Visual Studios? My current work project uses the .NET framework v4.5, and we’re developing using Visual Studio 2013. I’ve been reading about the new language features of C# 6.0 for a while, and I’m really interested in finding a way to use them. This isn’t a comprehensive list of the new features, they’re just the ones that I think I would use most in my day-to-day coding. The first feature I decided to try was creating a Primary Constructor…but when I wrote the code in VS2015 and .NET 4.6, it showed the dreaded red squiggly line and didn’t compile. What went wrong? After some more research, I found that the Primary Constructor feature has been removed (at least temporarily). So those articles (for example, this one) showing me how to do this are, for now, wrong. This made me sit back and think a bit more. When I look at the dropdown list of available .NET frameworks in Visual Studio 2015, there’s quite a few (at least in my system). Which one should I be using to compile C# 6.0 language features? And what does C# 6.0 actually mean? Should I be assuming that .NET Framework 4.6 necessarily corresponds to C# 6.0? Can I make Visual Studio 2013 compile code written using C# 6.0 language features? And where does Roslyn fit into all of this? I wrote a simple class which contains each of the C# 6.0 features that I listed above (except Primary Constructors, obviously). It’s a bit of a silly example, but hopefully it illustrates the point. I’ve commented each of the features, and put some of the most relevant code in bold font. There’s a difference between a language specification and the version of the framework that supports it. C# 6.0 is a language specification that is supported by the Roslyn compiler for the .NET platform. This compiler ships by default with Visual Studio 2015 – however, Roslyn doesn’t ship with Visual Studio 2013 (obviously, because this came out before Roslyn). So all of the above code will compile and works out of the box in Visual Studio 2015, and it works for .NET framework versions 2.0, 3, 3.5, 4, 4.5, 4.5.1, 4.5.2, and 4.6 (I just haven’t included version 1.0 and 1.1 because I don’t have them installed on my machine). It doesn’t matter about the framework – it’s the compiler that matters. Can it work in VS2013? I think the answer to this is “partly but not really”. When I try the above code in VS2013, the environment looks like the screenshot below, with more of the red-squiggly lines and a bunch of compiler errors. 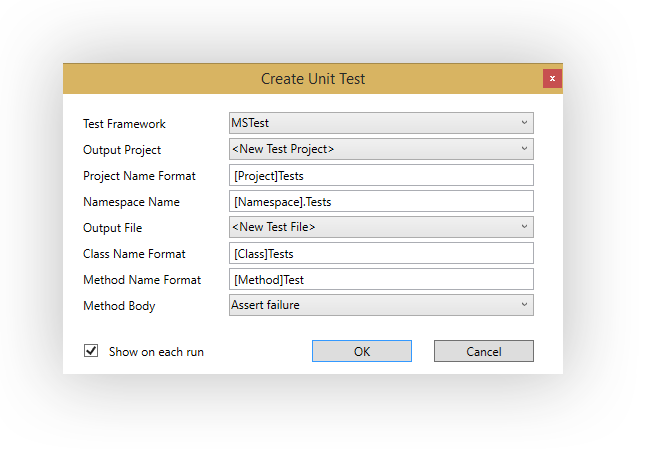 But it’s possible to compile C# 6.0 features with Visual Studio 2013 – you just need to install a nuget package. Run the code below from the package manager console. This will now compile, but the VS2013 development environment still thinks there’s a problem – it leaves the red squiggly lines and reports the errors in the Error List window. This is because Visual Studio 2013’s real-time compiler hasn’t been replaced, and the development environment doesn’t understand the new language features. So this isn’t really a long term workable solution to develop in VS2013 with C# 6.0 language features. But you can make the code compile if you need to.